CZ/ Výroba saní představuje ruční práci se dřevem a s kovem. Každý výrobek je svým způsobem unikátní! The basic material for the construction of the sled is ash wood. The design consists of between 4 and 8 individual layers of wood – slats- with a thickness of approximately 4-5mm glued together with a water resistant adhesive. The slats come pre-manufactured and dried to 8-10% moisture. For the production of the handlebars, the wood is dried close to 20% moisture allowing increased flexibility in the production process. Slats must be sticking up in the same order as they were cut, making sure that the pieces are bent upon removal from the mold, so they will hold the desired shape. These main pieces of the sled are fixed by a pin, and lashed together with durable rope. The resulting joints and pin fixtures are then filled with silicone to prevent moisture from penetrating the wood. The finished wooden product is then covered in a clear coat varnish. The actual runners themselves, as well as the front crash bar of the sled are made of polyurethane, and can withstand temperatures up to –56C. 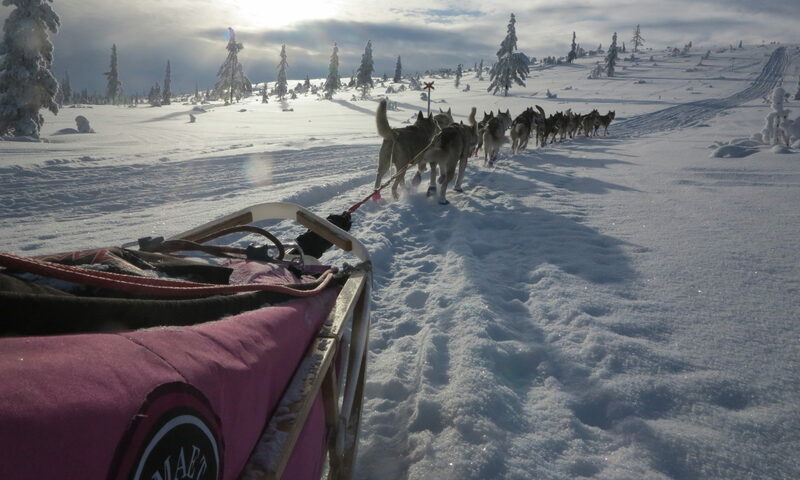 The sleds come equipped with two brakes, the first is a metal folding two positional brake, and the second is the drag brake fixed between the runners. 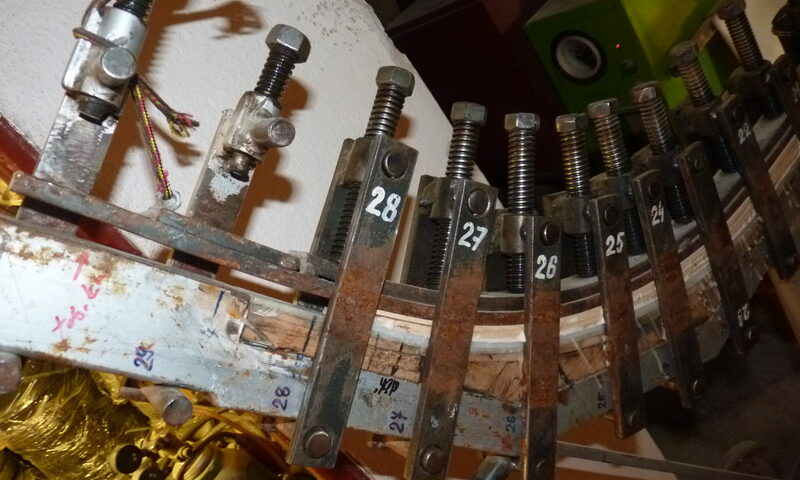 The price range for these sleds, depending on the type, size, and complexity of the design is between 500-1300 euros.